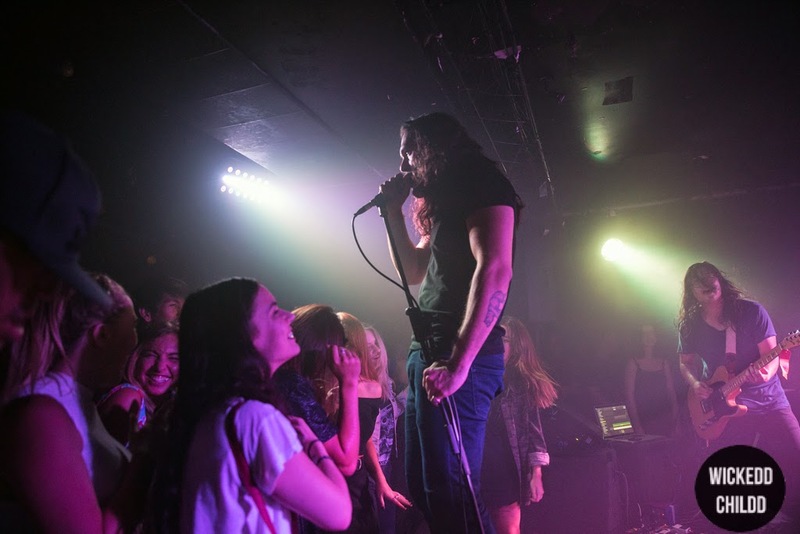 There was notable electricity in the air of the dark basement of GoodGod last Saturday, as an eager crowd awaited five-piece Gang of Youths. If there’s one thing to note about these Sydney-born rockers, it's that they're damn good live. You could tell by the way the jostling fans swarmed to the front of the stage with anticipation that they were ready for the raucous entertainment to ensue. 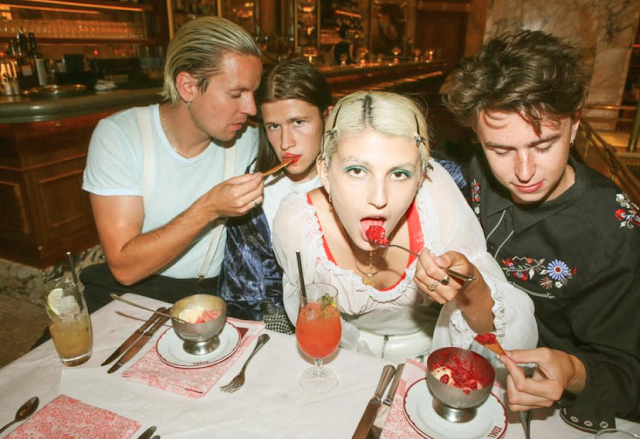 Gang of Youth's sound has been compared to huge names such as Springsteen, The National and The Strokes, they've signed a deal with Sony and have played with internationally acclaimed artists like Vampire Weekend and Sky Ferreira. In other words, they're good. They're more than good: they're emotionally charged, soulful, skilled and succinct. Brought together through tumultuous circumstances, the five musicians create a powerful sound with meaning that reflects their own life tragedies and misfortunes. This is songwriting as an art form: a direct creative expression that is deeply personal and allows the listener to fully engage with the artists to connect with their sound. This is poetry. But despite the melancholy undertones to many of their tracks, Gang of Youth's performance on Saturday was a far cry from somber. Front-man Dave Leaupepe quite literally let his hair down and blasted the audience with a spectacular display of emotive vocals and impassioned dancing. The band was exuding energy as they enthusiastically performed their dynamic pieces "Poison Drum" and "Benevolence Riots". The display of talent from these Australians was truly impressive and the crowd reacted aptly: head banging, dancing and singing along fervently. Amidst the intensity of the dense guitars and the brooding shouts from Dave there was still a distinct rhapsodic tone of emotional outpouring. Leering into the crowd Dave sang to his fans in a passionate frenzy while his bandmates intensely played with their heads low, nodding with concentration. Bathed in fuchsia light the front-man twirled and clapped in an impromptu dance during "Magnolia" that had the crowd wolf whistling and jiving in delight. Unusually for such a small venue, Gang of Youths indulged in an encore. Dave's soaring vocals were beautifully matched for the cover of Springsteen's "I'm on Fire" as if the song were as part of him as all the other pieces he had penned with such conviction. The night was ended with a chilling rendition of "The Overpass" that left the audience in a glowing reverence. One of the most enjoyable factors of the band's set was its diversity, with its ever-changing tempo and tone from indie beats to gritty, moody ballads. The band never once failed to truly captivate the audience. Dave had previously denounced the act of performing on a platform, stating it clashed with his philosophies on artistry and music: yet on this Saturday evening the band transcended the barrier between artist and audience as the entire room melded in celebration and admiration for music. Gang of Youth's highly anticipated album "The Positions" is rumoured to be released in March.